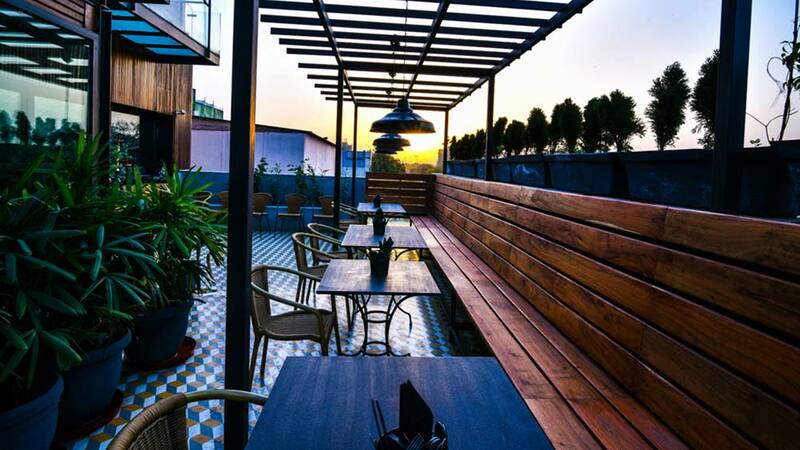 ﻿ "Every restaurant is an extension of my personality"
Once in the readymade garment business (VP - Provogue), I was always on the lookout for genuinely fun and good places to dine at in Delhi and have an easy evening out with friends. This led me to venture into the hospitality business and I introduced some of India’s finest restaurants to Delhi - Mocha, Smoke House Grill, Smoke House Deli and Shroom. In 2013, I branched out to create my own restaurant and brought to the foodies of Delhi what has come to be known as Smokey’s BBQ and Grill. The journey which started over with a single restaurant has now transformed into a multi brand empire with two other, extremely dear to my heart restaurants, “CIRCUS” and “TANDDAV”. What was the idea behind opening circus? Inspired by foods found in pushcarts and hawker stalls, CIRCUS is a local restaurant telling a global story. Located in South Ex II with a terrace offering breathtaking views of the city, diners can choose from an array of global street foods while passing through the multi levels of this all day diner. The food you once travelled the world for is just down the street at CIRCUS. The idea behind opening CIRCUS was to simply give guests a place where they could shed all inhibitions and dine at ease and feel the comfort of comfort food. CIRCUS is an eclectic, casual restaurant and cocktail lounge that satisfies both your hunger and your wanderlust. How have you designed the outlet? Spread over 10000 square feet - with bright colours, crazy chandeliers, funhouse mirrors and three different types of open seating - the three levels come together seamlessly to create a memorable experience. One can start with drinks on the high gymnast tables; dine comfortably in one of the booth seats and/or enjoy a night under the stars at the terrace bar while choosing to order from the global palate of wine and cocktails. The best part is its easy informality: families with children and the hip crowd both find their own space under the big top. We have three restaurants/bars operating in Delhi/NCR and one that shall be launching very soon - Smokeys Bbq & Grill, Khan Market; CIRCUS, South Ex II, TANDDAV, GK II and CIRCUS, DLF Cyberhub which we shall be launching very soon. A typical outlet is about 4,000 to 6000 sq. ft in size, has a bar, and offers all-day meals. All my restaurants/bars aspire to to create a welcoming and energetic space that provide happiness and warmth through, food and music. The main focus is to offer our guests an evolved dining experience in a wonderfully fun atmosphere. What are the challenges involved now that you are running multi brands? Each brand is equally dear to me. I try and balance my time and efforts with each of them consistently and make sure that I don’t take any of them for granted. Every day I learn something new and evolve as a restaurateur, the mistakes at one restaurant help serve as lessons and opportunities for the future for the other restaurants. Every restaurant is an extension of my personality. I hope we grow and evolve together with character. Radisson Blu Agra: Getting Mughlai flavour right..